Write an Amazon 'verified purchase' review of one of our new titles and receive a FREE book to say thanks! Last month Vertebrate Publishing procured the entire business of Bâton Wicks Publications, including books published under the Diadem imprint. This deal, the largest in Vertebrate’s 20-year history, adds over 100 individual titles to the Vertebrate library. To celebrate our longer 'to-read' list we thought we would help you out with yours! If you buy any of the titles featured below on Amazon, and then write us an Amazon 'verified purchaser’ review, we will thank you with a FREE COPY of Dermot Somers' Collected Short Stories or Bernadette McDonald's Brotherhood of the Rope. 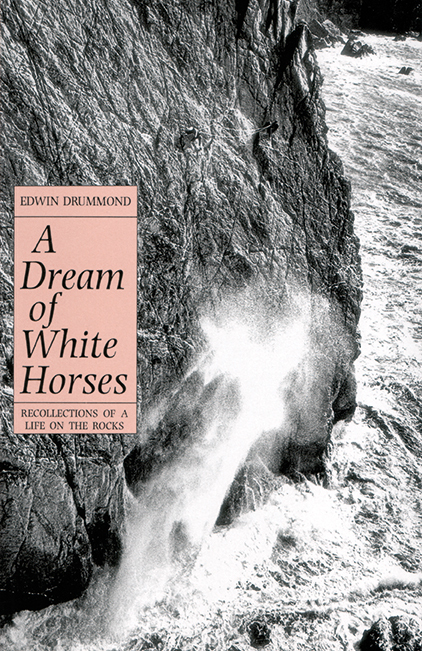 In a collection of essays and poems, Drummond succeeds where many mountaineering writers literature fail: 'to write in such a way that the reader could see themselves in the act'. As more of us attempt to describe quite what it is we are doing on the hills, via facebook, twitter or blog-rolls, A Dream of White Horses still stands as an essential read for anyone who needs more than the tired answer 'because it's there'. Drummond's most recent contribution to Mountain Culture is his appearance in The Long Hope, a film that documents Dave Macleod's attempt to free climb St Johns Head in a single day. Kurt Diemberger is the only living climber to have two first ascents of 8000m peaks to his name: Dhaulagiri and Broad Peak. 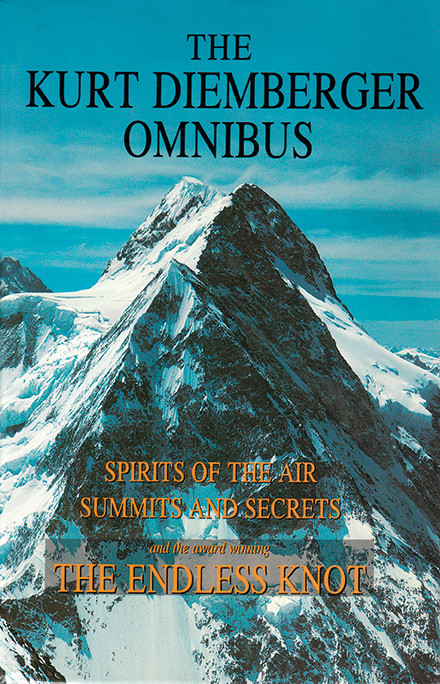 This Omnibus, including 'Spirits of the Air', 'Summits and Secrets' and 'The Endless Knot' bears witness to his 50 years of high altitude climbing. The latter of these three books describes one of the most tragic mountaineering disasters of history when during the 1986 attempts on K2, thirteen climbers died. Though five did eventually summit, only two survived, of which Diemberger was one. 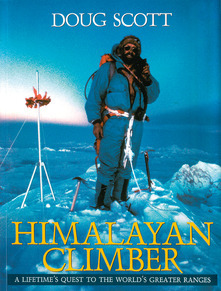 This experience ended a thirty year obsession with the mountain, but initiated his final book. 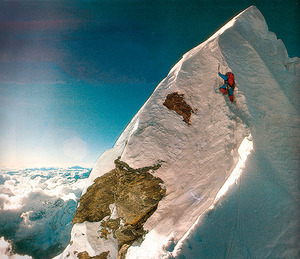 Peter Boardman and Joe Tasker were at the forefront of Alpine and Himalayan climbing during the 1970s and early 1980s. Sadly this came to a tragic end in 1982 during their attempt on the lower unclimbed section of Everest's North-East Ridge. 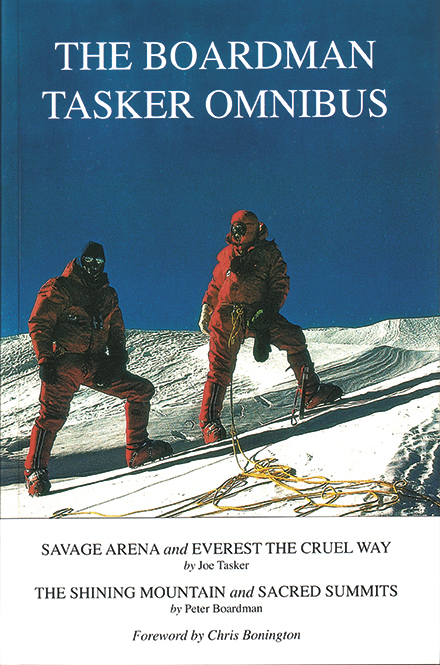 They left behind a record of committing first ascents that inspired a new era of alpine-style climbing in the Himalaya, and The Boardman Tasker Award for Mountaineering Literature was established in their name. Vertebrate Publishing have produced several recent winners of the award, so if you have read Cold Wars or Rock Athlete, you must read this collection by the men who set the standard for our work. 'The fulfillment of life's purpose will be found in oneness with reality.' said W H Murray, in a letter written from a prisoner-of-war camp in Germany. This posthumously published autobiography describes how meditation got him through three years of incarceration. Murray managed to write his first manuscript on scraps of toilet paper hidden in his clothes. This was found and confiscated, and so he duly wrote it over again, demonstrating his intense resilience, essential to his later high altitude explorations after his liberation from the camps. Reinhold Messner introduces Heckmair as 'the prototype of the mountain vagabond' and he certainly led a life that swayed from the alley ways of Marrakech to the balcony of the Fuhrer by way of penny pinching, sausage stealing, social manipulation and a healthy dose of happy go lucky luck. He led the first team to make a successful ascent of the North Face of the Eiger, which the Nazis used as propaganda during the party's rise to power. 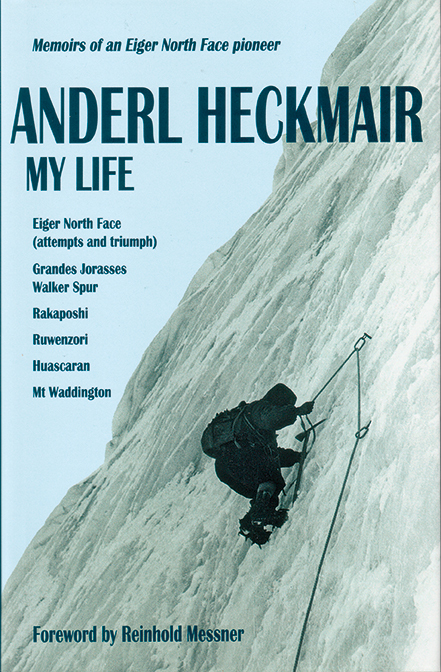 As in the present day, climbing and politics intertwine in a fascinating back drop to Heckmair's life story, where he surmounts a poverty-stricken childhood to become a star alpine climber, travelling to Africa by bicycle, back to the Alps and on to America. 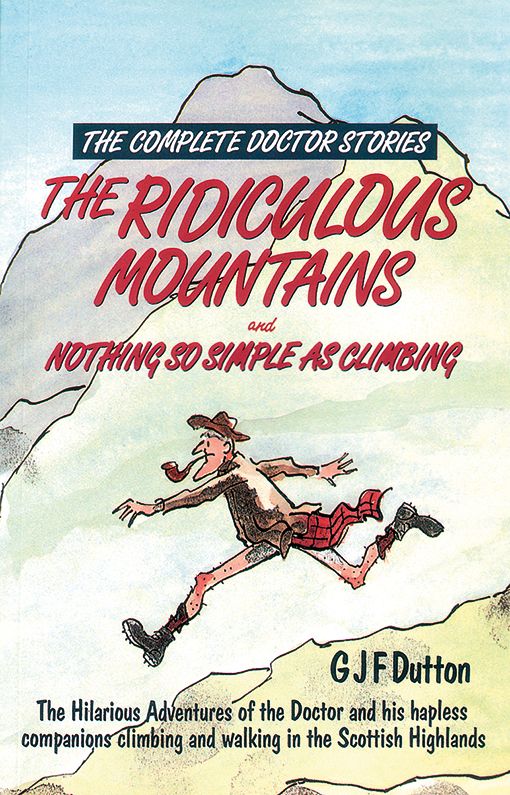 A combination of the two hilarious collections of GJF Dutton essays concerning the mountaineering doings of the Doctor, the Apprentice and the Narrator in the Scottish Highlands. Complete with a cast of eminently recognisable characters from Sodder the English Crag Rat to the Pitfoulie Mountain Rescue Team. Essential reading for anyone with a love of Scottish hills and a decent sense of humour. The author was a scientist by profession, with a string of papers to his name, but he also published several books of poetry, gardening and long-distance wild swimming (a practice he pursued without a wetsuit, even in icy Scottish waters, on the grounds that it interfered with the sensory perception of his body hair). 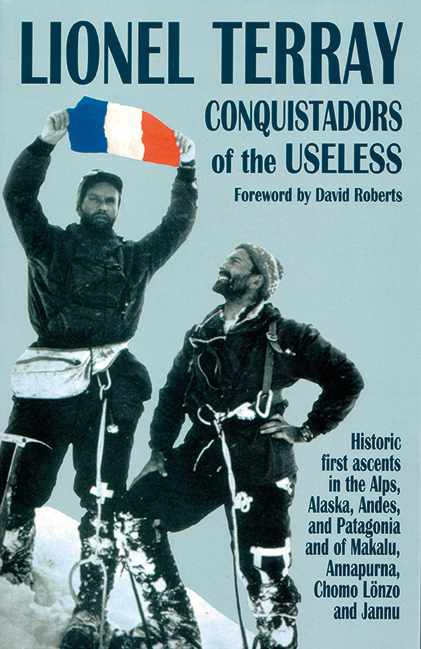 A mountaineering classic, Conquistadors of the Useless tells the story of ground-breaking climbs with insight and wit.This autobiography of Frenchman Lionel Terray stands among the '100 Greatest Adventure Books of All Time', according toNational Geographic Adventure magazine. Following World War II, when France desperately needed patriotic success to heal its wounds, Terray emerged as a national hero by way of his first ascents in the Alps, Alaska, the Andes and the Himalaya. Filled with first-time feats and acts of bravery in the face of unspeakable odds, Terray's story captures the energy of an optimistic world shaking off the restraints of war and austerity. Another tone of mythic status from Murray, this was the book which he originally wrote, and then rewrote on Red Cross issue toilet paper as a prisoner of war. 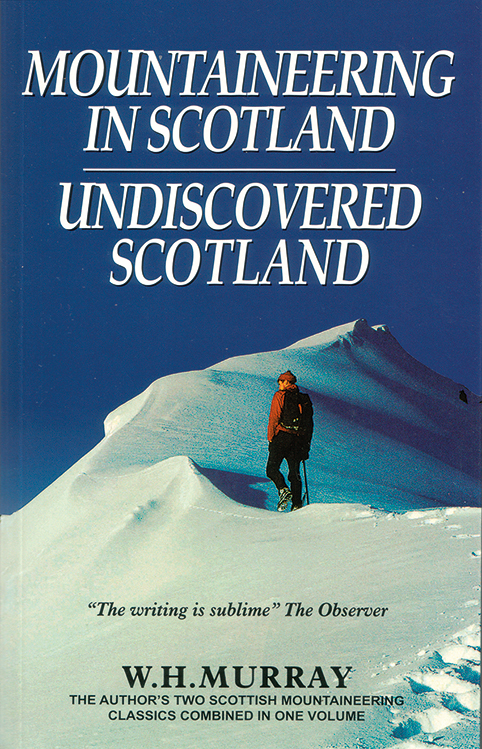 The work was finally published in 1947 and was followed by the sequel, Undiscovered Scotland, in 1951. Both works were widely credited with helping to inspire the post-war renaissance in Scottish Mountaineering. 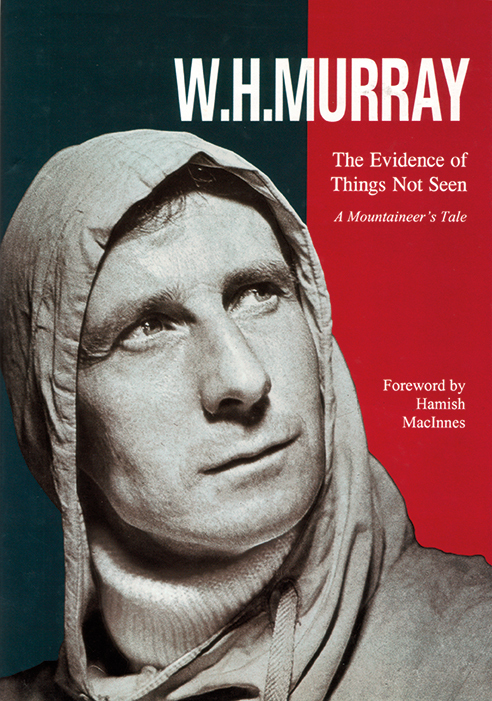 This book is a must have for mountain literature enthusiasts, not least for Murray's unapologetic romantic and evocative style, perhaps old fashioned but always unwavering in his devotion to the Scottish hills. If you buy any of our new titles from Amazon, you can help us by leaving an Amazon 'verified purchaser' review. In return we will send you a free book. Just email info@v-publishing.co.uk with a link to the review.